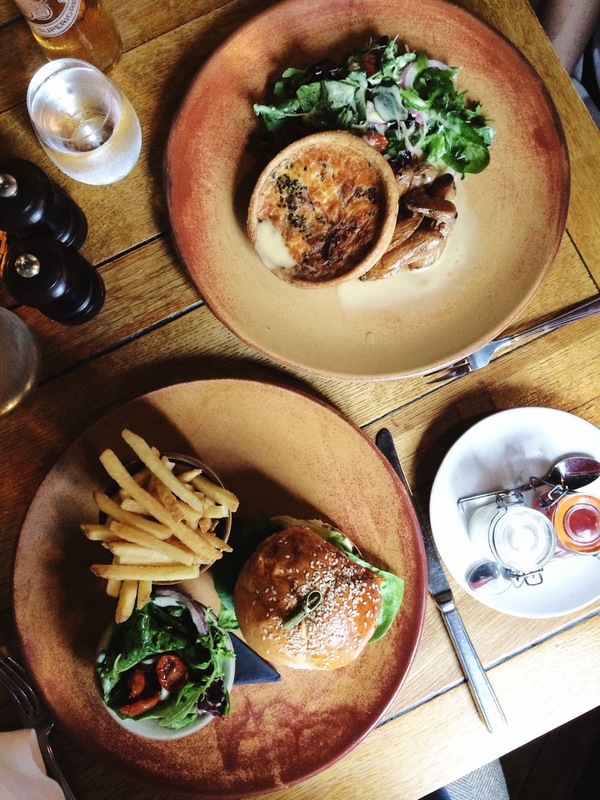 Country pubs are one of the worlds wonders: they're all about cosy atmosphere, friendly staff, beautiful surroundings, delicious locally sourced food, and of course a large Merlot please. 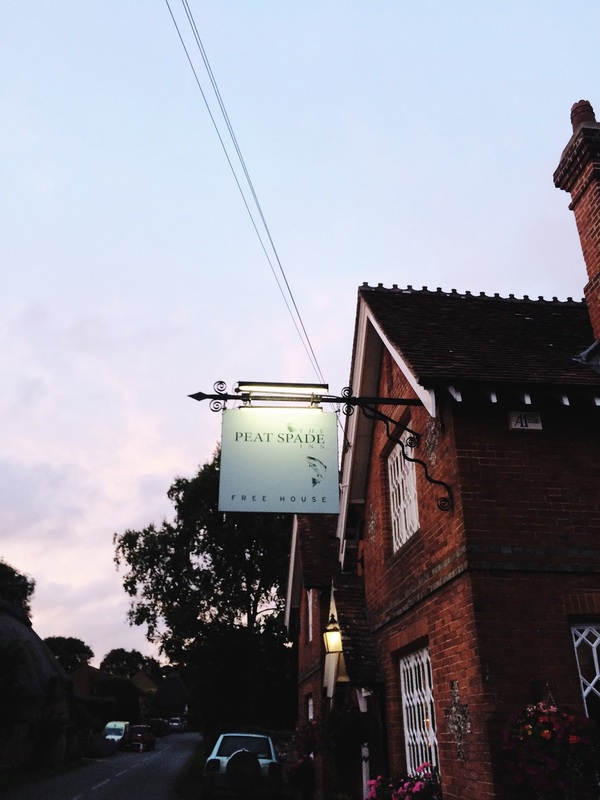 I love discovering new countryside pubs and Hampshire never disappoints me - and neither did the Peat Spade Inn. 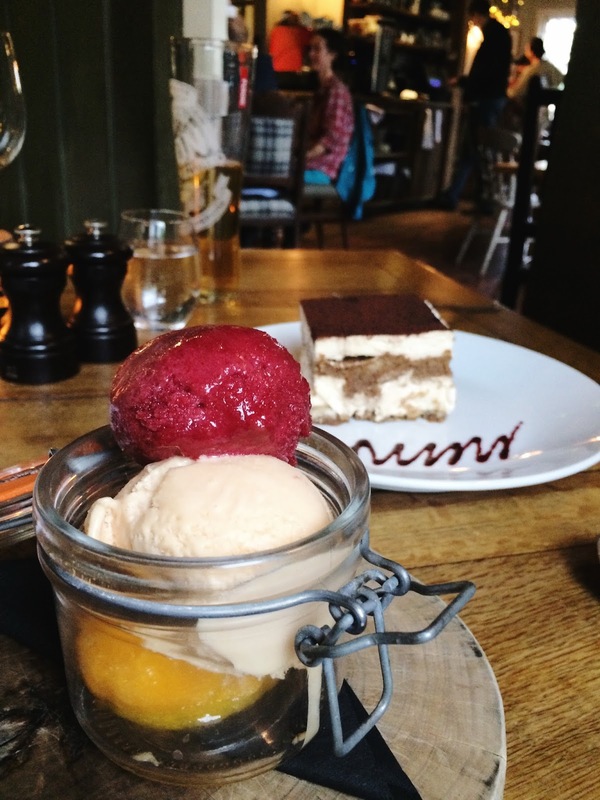 The Peat Spade Inn is tucked away in Longstock, Stockbridge - and if it wasn't for the sign pointing to it, or the satnav navigating most cars, I don't think many people would know where to find this little foodie gem. The Peat Spade has a great reputation around the town where I live and it's been on my radar for ages, but I haven't visited until recently when we decided to give it a go for my belated birthday get together with Heidi. We settled in the cosy dining area with tartan decor and hunting/fishing lodge vibes and ordered a meal to pig out on. 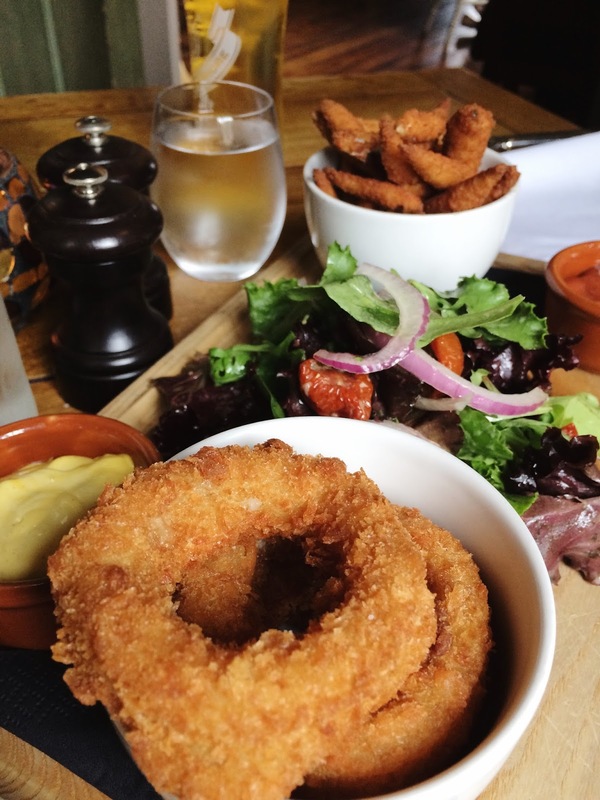 For starters we had a couple of bar snacks because they looked great: crispy squid rings and deep fried whitebait. The crispy squid was delicious, and the rings were huge! Paired with a lemon mayonnaise or a little bit of salsa, they tasted great. Same with the whitebait - I love deep fried whitebait and the crumbs on these little fishes were delicious. These little bites are great if you don't want to fill up before your main meal but still want something to snack on before the main event. Or, simply enjoyed with a cold pint in the summer! 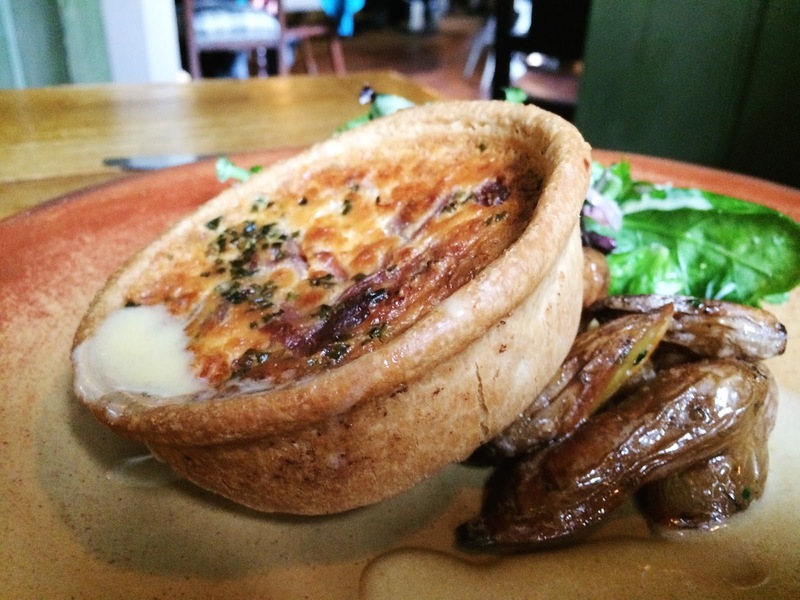 There was no question when it comes to mains: I just had to have the dry aged beef burger with wild mushrooms, truffle mayonnaise, fries and a salad; and Heidi opted for the butternut squash, Violetta artichoke and feta tart, with baby leaf salad. I have this thing for burgers in country pubs - if I've never been before, I have to order a burger and judge the pub by how they make it. Weird, I know - but there is thought behind it. 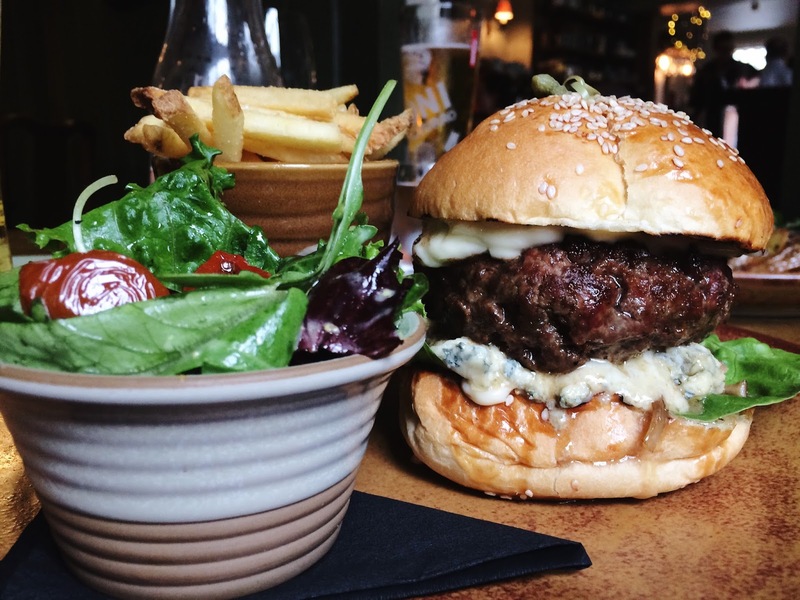 If a pub can cook a burger to be medium/rare, to me this means the quality of the beef is great, they use fresh products not frozen, and it sets the scene for the rest of the food. Cremated, dry burgers are not my thing and it's simply a disappointment when burgers like that come out. 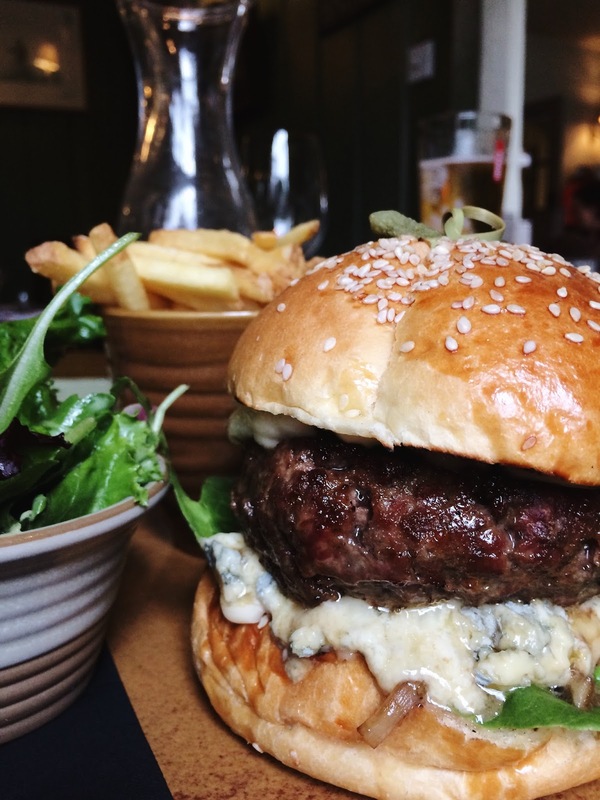 This burger was juicy, cooked medium to well done but not dry at all, with a delicious blue cheese sauce and a cute little gherkin to top it off! I really enjoyed this burger, and I want to come back for it again - I'll have to take Liam for a meal there so he can experience this beautiful taste sensation! Heidi really enjoyed her butternut squash tart which looked delicious and very filling too! We had to go for dessert because it looked so delicious - Heidi opted for a tiramisu and I had the trio of sorbets: blood orange, mango, and salted caramel. Yum! We had a really nice meal with delicious food and a beautiful atmosphere - I can imagine The Peat Spade Inn is even more beautiful in and cosy in the winter time. I'd really recommend visiting this Hampshire foodie gem - book in advance to avoid disappointment!